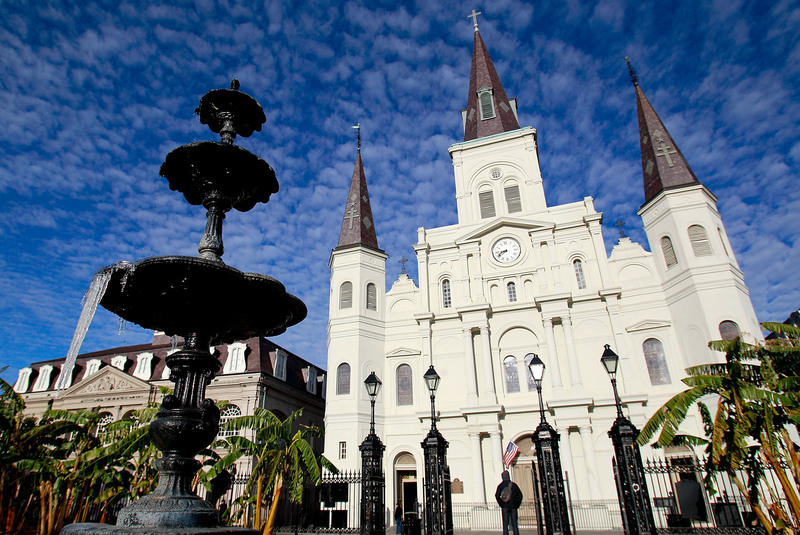 Growing up in New Orleans is like growing up in another country. The food, culture, music, and language seem completely foreign to most of the rest of America. We drink anytime, eat rich foods, listen to great music, and enjoy waterfront views on the regular. Though local government and law enforcement are often ... less than exemplary, our day-to-day life still resembles other people's vacations. Maybe that's why many people refer to NOLA as the northern most part of the Caribbean. Often, we have more in common with island folk than we do with people from Alabama. Until I left NOLA to go to college in Miami, I didn't realize how unique my childhood had been and how much I would miss it. I missed the wonderful world of open containers, alligator decor, lazy days on the Lake Front, and even government corruption so obvious it was laughable. Something as normal as a walk to the corner store for a hot sausage po-boy and a Big Shot Pineapple seems like a shiny new penny when you are 800 miles away. So like the commercials and the tourists holding up pedestrian traffic in The Quarter say, "Laissez les bon temps rouler!" If you're from here too, you know what I'm talking about. Here are 41 things every New Orleanian understands about living in one of the best cities in the world. Since New Orleans is the birthplace of jazz — let it go, Chicago and New York City — natives protect and value it on a level no one else can understand. It doesn't matter if you can't personally play a note, you can't even deal with people who say they hate jazz. Do they hate sunshine too?!! People from other places like daiquiris, you LOVE them. So much so, drive-thru daiquiri establishments make sense to you, as do the convoluted drinking and driving laws that make them legal. It runs deep. No matter where you are or what you are doing, if you hear this, you join the line and get to dancin'. Wheremy scarf and go cup?! Wait, everyone doesn't get three days off for Carnival? Beads, doubloons, and cups take over your house, the sidewalk, the trees. And don't forget that Zulu coconut in the closet because someone told you it would grow. It's not weird to you that unsupervised adolescents choose to wander among a bunch of 500+ old oak trees accompanied by holiday music. It's romantic, okay? Seeing him on the Canal Street Maison Blanche meant the holidays were here. Ah, the time of year when everyone has a meteorology degree. You're not entirely sure what barometric pressure is, but you can mention it convincingly as you predict the storm's path. You're basically Bob Breck. It is a way of life. Clean up and start again. Noun: The face people make when they find out you are from NOLA and lost everything in Hurricane Katrina. Other people watched The Princess and The Frog's Shadow Man thinking he was a classic movie villain. You watched thinking, Hey! I saw that guy at Tips last night! Yeah, yeah, yeah, architectural wonder, longest bridge over water in the world, blah, blah, blah. When do we get to Mandeville? But you did it because half your friends lived on the West Bank. You can point out the current and former homes of author Ann Rice, Brangelina, John Goodman, Trent Reznor, Sandra Bullock, Matthew McConaughey, Helen Mirren, Bob Dylan, and Lenny Kravitz, but you won't because locals never bother the celebs. That's why celebs love NOLA. You can say you're all about Kennedy or John Mac, but let's be real, St. Aug is the band everyone knows and loves. Catholic and public school kids wore them all day, making kids like me who wore street clothes to school kinda jealous. I think they knew it. “Its just like NOLA!” Yeah that’s what they all say, then you see fish tails and mushrooms floating in the pot. They are the world's most effective end of the night hangover prophylactic, and as such, should be treated with reverence. Pair a muffuletta with an Abita beer, and you have a damn good Sunday afternoon on the River Front. It's all fun and games until someone gets pinched. They eat cars...so I have been told. Oh and let's not forget there are sharks in the water, too. As previously suggested, it's the perfect meal. Wedding cake with condensed milk — Yaaasssss! You would punch someone in the face for one of these, especially now. Do you know what I witnessed two blocks away?! Ewww what just just dropped in my hair?! Ugh this is why I don't come on Bourbon. I don't sound like I'm from the South, because I’m not from the South. I’m from NOLA. If I had a nickle for every time I've been asked that, I could buy a Prytania Street home. You were in high school before you realized not eating red meat on Friday was only for Catholics, but you stuck with it for the catfish. Didn't matter what religion you were growing up in NOLA, just have fun! At 2 a.m.?! How do you people live like this? You knew this address before you knew your own. Maple Street is the best shop for local books by local writers. Something to seriously consider when buying a home. Then exit at Riverbend and have breakfast at Camelia Grill. That new West Elm on Magazine makes you want to throw a wicker patio chair. They don't happen very often, but when they do you stop to honor the dead. This is footage from my father's service. The reaction when you meet someone from NOLA. i mean, You Would Let This Guy Hold Your Baby, wouldn't you? The WWL commercial still makes you emotional.